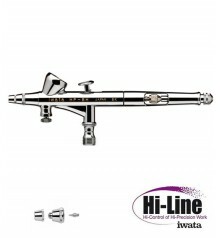 IWATA HI-LINE HP-CH 03 airbrush Iwata Hi-Line airbrushes iwata airbrushes airbrushes AIRBRUSHING - Belles Arts Ferran, S.L. 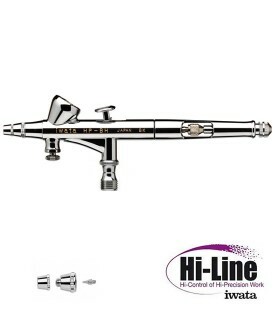 Features a 0,3 mm. 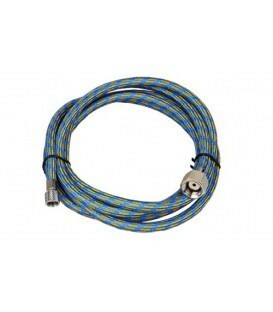 nozzle and large 1/3 oz (9 ml.) tapered gravity-feed cup. 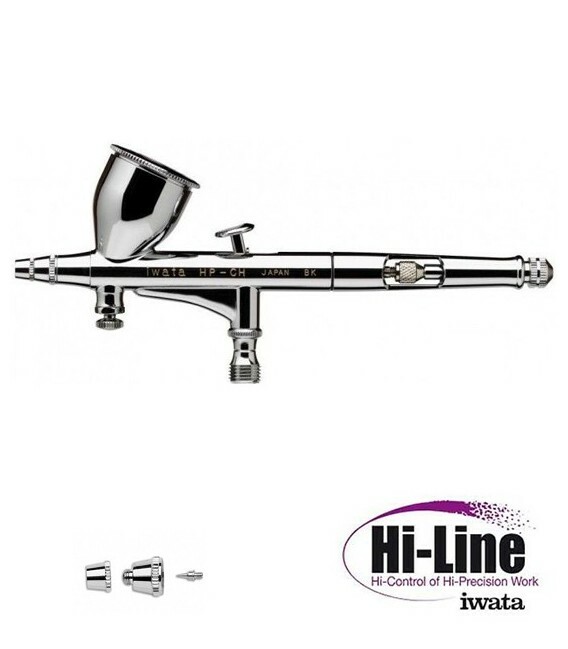 The larger nozzle and needle makes this an ideal airbrush for spraying a variety of paints from watercolors to solvent-based automotive paints.